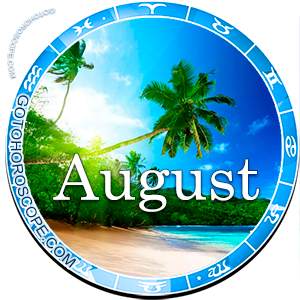 August 2015 Horoscope Sagittarius, free Monthly Horoscope for August 2015 and Sagittarius Astrology Forecast for the month ahead. 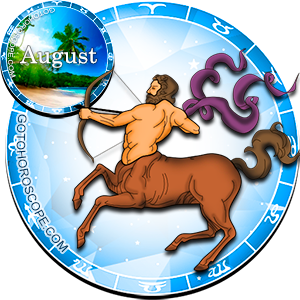 The third summer month, August 2015 will be a time that is incredibly positive and fulfilled for the Sagittarius. The representatives of this zodiac sign will be able to resolve a multitude of problems, realize their main projects, and the lion's share of the problems will pass them by. Such a positive situation will arise because Mercury, traditionally responsible for the fall of the Sagittarius sign, will currently play the role of the "celestial leader" of the Fire trigon. This practically says that the Sagittarius will be fully protected from any external or internal negativity in regards to the work direction. You should not think that the representatives of this sign will have everything fall right in their hands, since after all we are the ones making the decisions and not the stars that just advise. Jupiter, the planet-ruler of the Sagittarius sign will be reinforced in multitudes due to its interstellar position, and as a result the people born under this sign will receive immunity from negative circumstances and luck will definitely be on their side. Venus, the planet-exalt of Sagittarius, will also elevate the dynamic of its energy flows, as a result of which the representatives of this zodiac sign will feel a powerful influx of life energy. 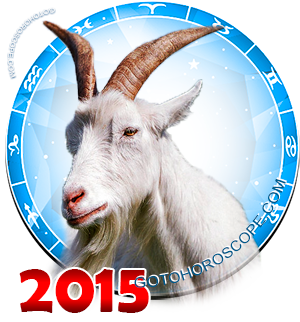 This way, the work direction will not bring the Sagittarius any bit of negativity in August 2015. You can bravely go on vacation or take a rest, leaving your business to your colleague, your friend, or any other trusted person. Do not be afraid that some bad situation may occur. Right now, the stars are fully on your side and we are not talking about negative situations, you can allow yourself to relax a little. Certainly, you must not let everything flow the way it should, especially if you have your own business. But overall, you do not have to apply too much pressure on yourself, as you will be able to resolve all of your dilemmas and fulfill all your tasks that you will put in front of yourself. Do not doubt your strength and pay attention to your relationship with partners. This month you have a real chance to enforce your work alliances and come to even more profitable deals. The only limitation is not to get too deep into familiarity, even if other insist to treating you this way. The love front in August 2015 will not bring the Sagittarius any significant problems or worries. Minor misunderstandings will not disappear, but they do not deserve your attention right now. No negative situation will develop form them. Therefore, you can safely build relationships with your lover, friends, and relatives. You can easily solve other people's problems, but do not have it rush to your head, because you are not omnipotent and at some point an altruism too zealous can result in many troubles, both for you and for your environment. Moderation is necessary for you just like sunlight for plants. Without a sensitive balance and harmony of your own desires and emotions, you cannot help others achieve it. Of course, you should not let everything just go with the flow, without making any important decisions and not controlling your direction. If you do so, then the entire month will pass through quietly enough, but you will lose the lion's share of potential opportunities. Only being dynamic and continuous development may be the key to total success and the stars are particularly supportive of those who never sit still. Therefore, in spite of all the positive situations, do not relax too much. Enjoy, but do not forget that it's your life and you are responsible for each decision.